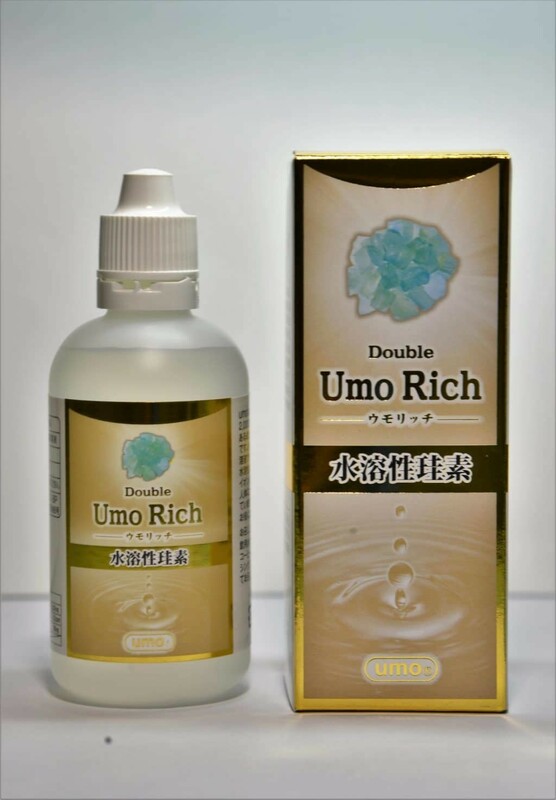 Umo rich Silica is 99% active silicon enriched water soluble nutritional ionized liquid. it contains crystal active silicon and other minerals. It is 100% made in Japan. It is the result of extensive research and development by The Japan Medical Science Institute of Silicon since year 2000 & has been sold in Japan since 2007. Over one billion bottles of Umo silica supplement were sold in Japan monthly. 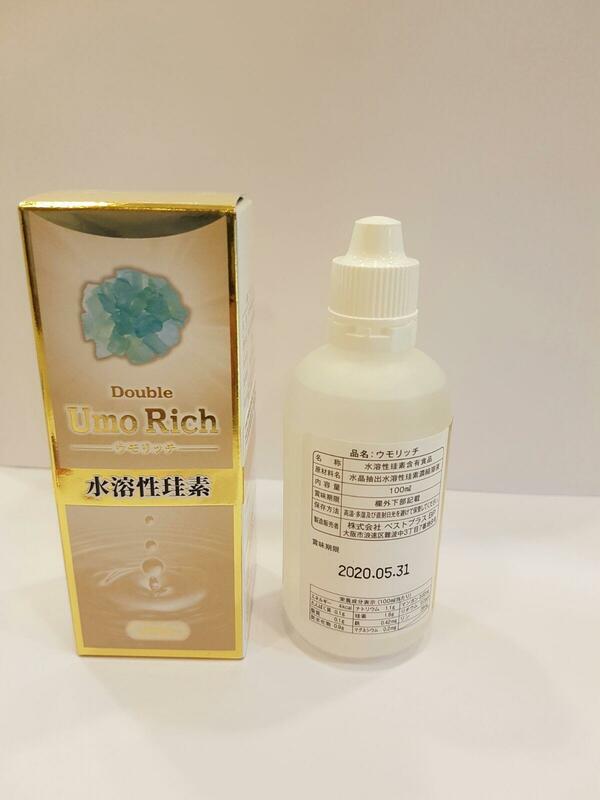 How to use Umo Rich silica? 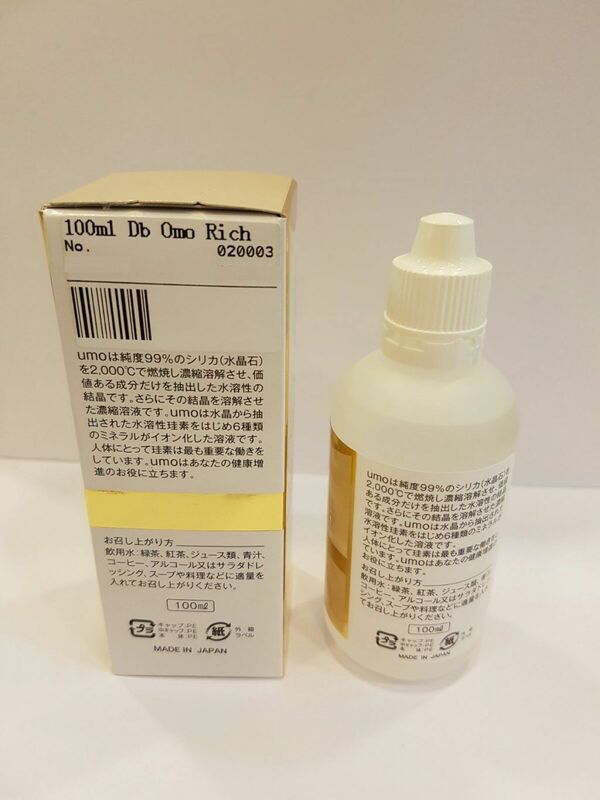 There are great health benefits of Umo silica for those who encounter serious illness such as acidity in blood, high blood pressure, diabetes and even essential for daily usage to detoxify herbicide, to enhance the healthy growth of hairs, to reduce wrinkles, better cosmetic effects, and allergy/pain relief. This package of 100ml is designed for people who want to try out silica first to see the effects before they deciding on taking more or buying more for the whole family. And this is suitable for those people who always on the move. This small package is very convenient to put in your bag, and you can always have it no matter where you are. Recommended by friend, just try this small bottle first. Called in the morning and got the umo silica in the evening, really very fast delivery, like! Got one for my girl friend as gift… ladies like to apply this umo silica on their face. But I thought just drinking? Cool! Bought this small bottle together with the big 500ml double umo rich silica, the small one will be for me to carry as I travel around, and the big one for the family to drink. Good, I Like ! Read about the silica supplement, just get a small bottle to try first, the delivery was fast! like.